Just Bail Bonds offers quick release bail bonds for traffic arrests, DWI & DUI arrests, revoked driver's licenses, and more. Call us at 817-303-3400 24 Hours a day for help. 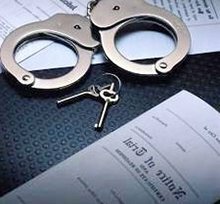 Defendants arrested for criminal cases - from simple Class B misdemeanors to first-degree felonies - can get bailed out of jail quickly with our bail bonds. Choose from a variety of payment options including pay at the jail, local checks, various credit cards and personal checks for your convenience. When it comes to personal freedom for you or your loved ones after an arrest, fast results are crucial. Just Bail Bonds offers quick bail bonds in Arlington, Dallas and Fort Worth. 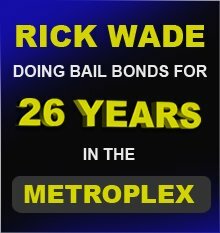 The owner Rick Wade and his experienced staff of licensed bail bond agents serving Tarrant and Dallas counties. 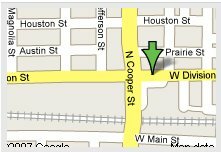 For fast Arlington TX bail bond assistance, contact Just Bail Bonds online. Call our bail bond agents 24/7 at (817) 303-3400 in Tarrant County or (214) 495-1363 in Dallas County. You can also contact us via Skype for bail bonds. Site Design: Everyday Media LLC.